leaves me wishing I had just a drop of her amazing talent...she wows me! Maybe you'd like to let your camera wander, too! I'm excited to see its return this month. Wonderful photos. Looking forward to more. Is that cutie a praying mantis? very pretty pictures -- except for the spider. that photo made me scream loudly which spurred a chain of events over here that fortunately left us with no damaging effects. 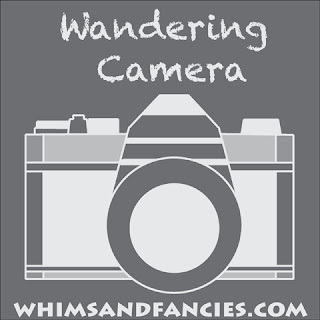 I love Soma's Wandering Camera and am sure to love yours too :) even if you did freak me out AGAIN with that spider!! Super idea! I used to do 52 Photos and since that stopped, I haven't played a lot with my camera. Thank you for posting the link. You have some beautiful pictures.